Award-winning Bali's Best Coffee and Tea Candies are 100% natural and made with real Sumatran coffee and tea extract originating from the islands of Java. Rich, creamy and smooth in taste, these hard candies are individually foil-wrapped to preserve freshness. 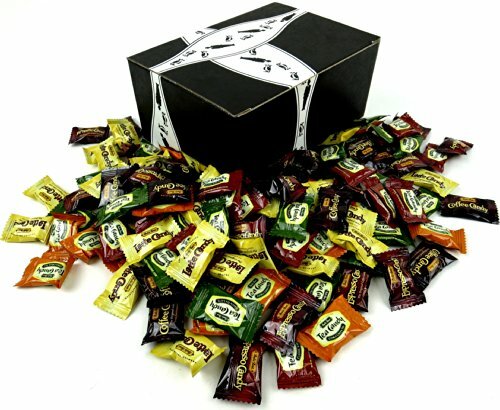 Now get a BlackTie Box for any occasion featuring one 2 lb assorted bag of Bali's Best Coffee Candy, Bali's Best Espresso Candy, Bali's Best Latte Candy, Bali's Best Green Tea Latte Candy, Bali's Best Citrus Green Tea Candy, and Bali's Best Classic Iced Tea Candy.